Days after Vancouver Island's only private adoption agency announced it will be closing, an online petition has surfaced in hopes of saving it. 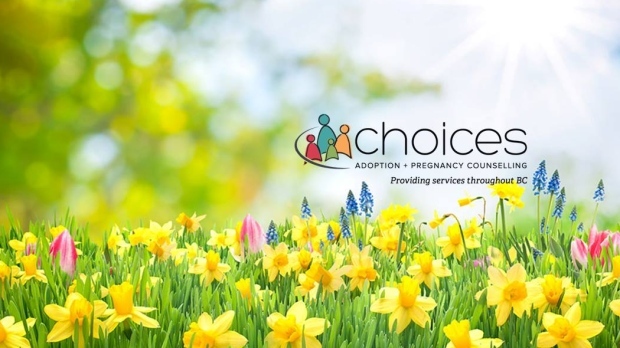 Choices Adoption and Pregnancy Counselling plans to close May 31, after 30 years offering domestic and international adoption services and pregnancy counselling. The non-profit says five board members made the decision to close not because of a lack of demand, but rather a decline in international adoptions. Finances are a major concern too. "The decline in placements results in significant pressure on the organization because we are self-funded and that's where our income comes from," says board chair Jane Cowell. "Countries themselves are wishing to care for their own children." As Choices winds down, staff are transferring 140 families to other adoption agencies and the Ministry of Children and Family Development. MCFD says it's working on a seamless transition "without creating additional costs for [the affected families]." The minister adds the decline in international adoptions is a global trend. "Given the organization's financial insolvency, coupled with the fact that international adoptions are on the decline, we respect and understand the board's decision to cease operations," says Katrine Conroy. But the online petition expresses concern over the number of cases that will now fall to MCFD – fearing a lack of resources to take on more of a caseload and to provide the service in a timely manner. "We have reports of families waiting two years for a social worker to do a home study," writes the page creator. "Children's lives are at stake here and two years is an eternity to a child." B.C. 's representative for children and youth says her office is in the process of gathering information on MCFD's plans, options for affected families, and how commitments will be fulfilled. "Our paramount concern is for the well-being of the children for whom adoptions have been arranged and for the families in the midst of the adoption process," says Jennifer Charlesworth. CHOICES clients with questions or concerns about their file and the transition process are asked to contact MCFC at 778-698-8662.